Nice BMW in the 1909 picture. I’m still stuck with a car. I should really upgrade to a horse. Look carefully – the 2009 pic is shot one building further up the street, making all the relative sizes different. 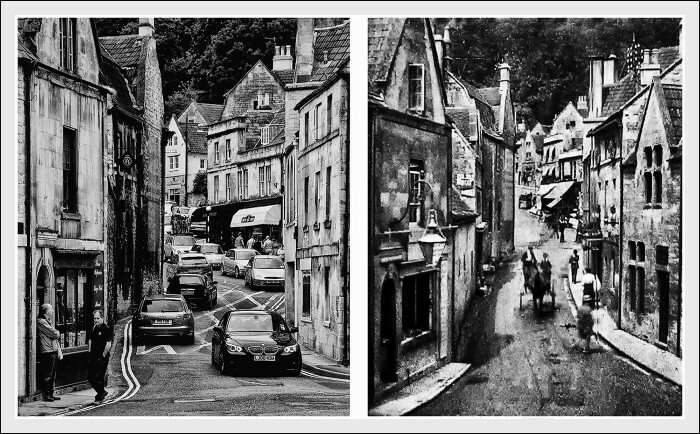 Bradford upon Avon amirite? Yes. Yes I am. I’ve had to park a goddamn van in that street in the past. All to fix some instore music. Ahh my life before I fixed motorcycles.